A new census of Andean condors taken near Chile’s capital of Santiago has tallied 300 birds. Started in 2011, researchers and volunteers have counted the soaring birds three times a year from six different observation stations on the mountains surrounding the city. They want to learn more about their country’s national bird—the Andean condor’s seven-foot wingspan and taste for carrion are some of the few things researchers know about these scavengers. Researchers estimate there are around 10,000 Andean condors living throughout the Andes mountains — from northern Colombia to the tip of Patagonia. Though poaching has driven down numbers in Venezuela and Colombia, populations are generally thought to be stronger further south. 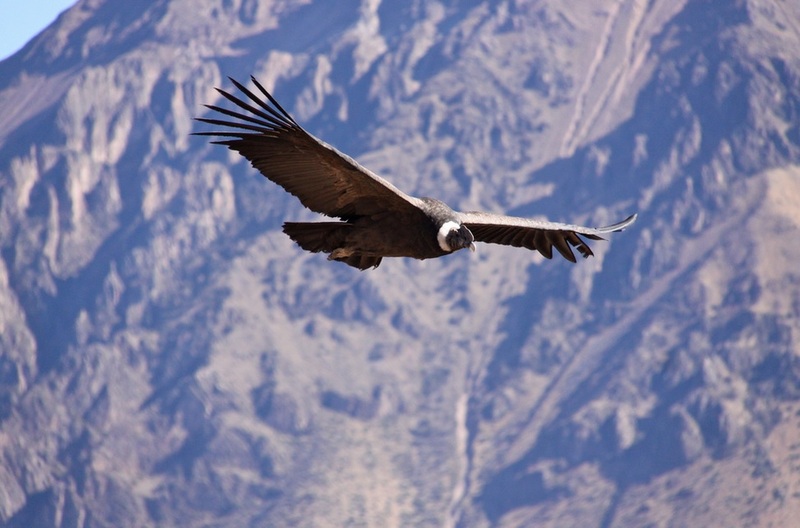 Condor censuses are sporadic and generally local in nature. That’s why Escobar wants to work in concert with Argentine, Peruvian and Bolivian researchers. The census data being collected now is incompatible across these countries because of how far Andean condors can roam. The birds have been known to fly distances of 150 kilometers and have home ranges of up to 7,500 square kilometers—an area larger than the state of Delaware. Without simultaneous census-taking—which would take considerable planning—someone in Argentina could be tallying a bird that roosts in Chile. Without simultaneous census-taking someone in Argentina could be tallying a bird that roosts in Chile. Escobar also points to the Californian condor, which in recent decades has been brought back from the brink of extinction, though it is still listed as critically endangered on the IUCN Red List. He, his orthinologist colleagues and the dozens of volunteers working with R.O.C. want to prevent the loss of this iconic Andean bird. But the first step to saving the birds is knowing how many are left. Image credit: Eric Miraglia via Flickr.